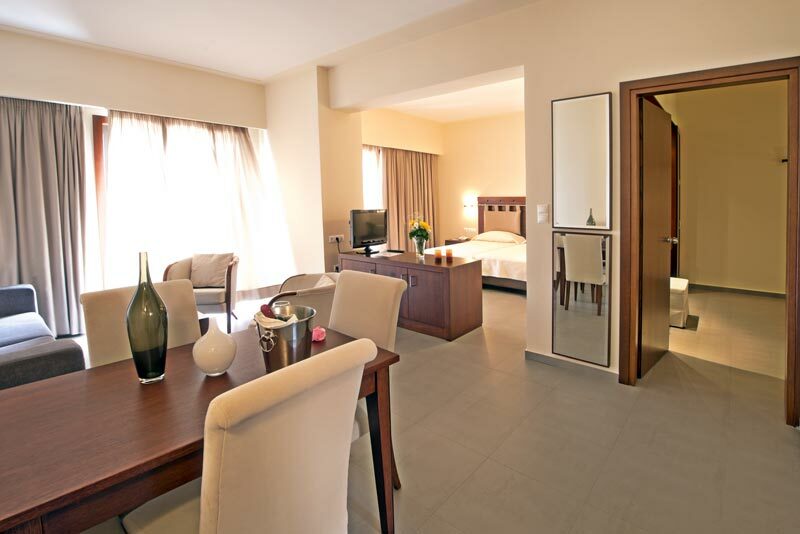 With two separate bedrooms and living room.Executive Suites are located on the floors of the hotel buildings. 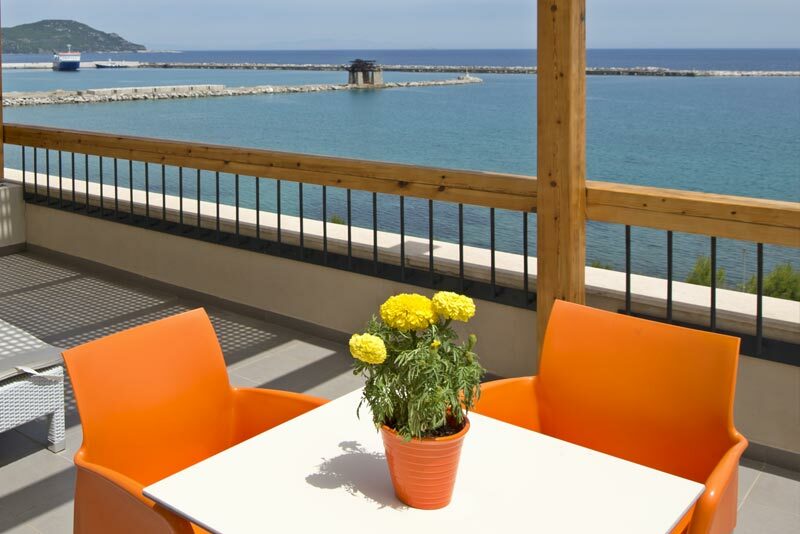 They provide two rooms and a large balcony overlooking the sea. They are cozy spaces with two separate bedrooms and living room. Suitable for families. 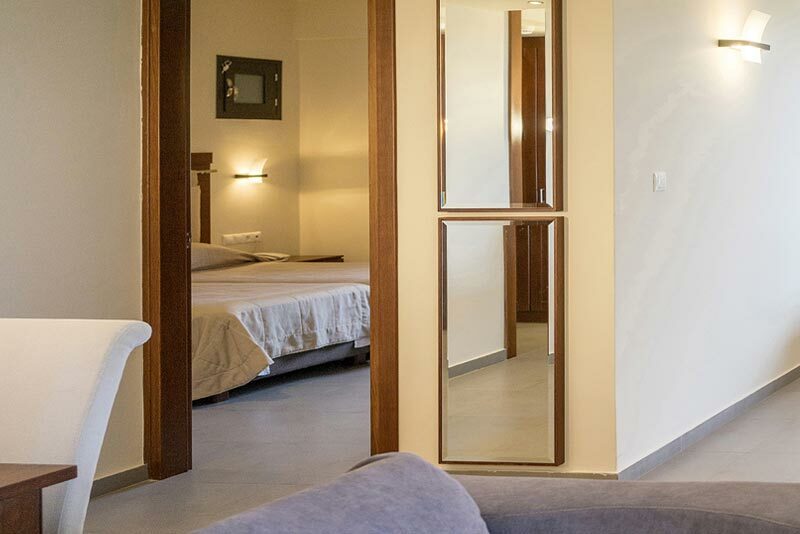 At an area of 65 to 70sqm they provide a comfortable and enjoyable stay.